At our 24-hour Austin Emergency Room in Austin, TX and walk-in clinic, we know that having a medical emergency can be scary, especially if it’s your child that needs the medical attention. Visiting the emergency room (ER) can be a frightening experience, so at SignatureCare Emergency Center, we pride ourselves in making your ER experience top notch. Doctors in our medical clinics are ER trained and board certified. 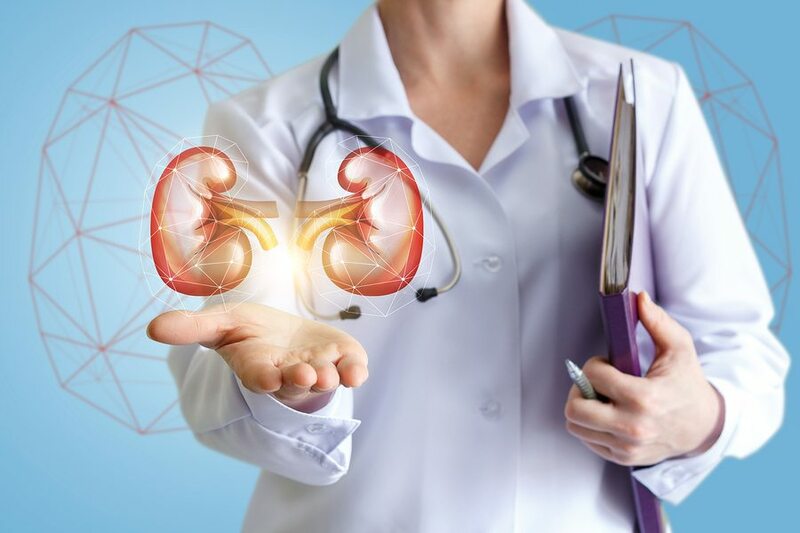 Our ER is equipped to treat most medical emergencies, from broken bones and abdominal pain to stitches and infections and our emergency rooms have full labs where we can run tests — most of the time, while you wait. Our South Austin TX ER is fully equipped to perform CT scans, x-rays, and other diagnostic tests on both adults and children. Located at 5701 West Slaughter Lane, Austin TX 78749, our ER is just minutes from Maple Run, Sendera South, Akin, Anderson Mill, Escarpment Village, Circle Ranch, Oak Park Estates, Beckett Meadows, Deer Heaven and nearby neighborhoods. We also serve residents in Round Rock, Pflugerville, Bee Cave, South Austin, San Marcos, Georgetown, Cedar Valley, Bear Creek, Lago Vista, Oak Park Estates, Barton Creek, Dripping Springs, Driftwood, Southpark Meadows, West Oak Hill, The Medrones and other areas around the 78749 zip code. 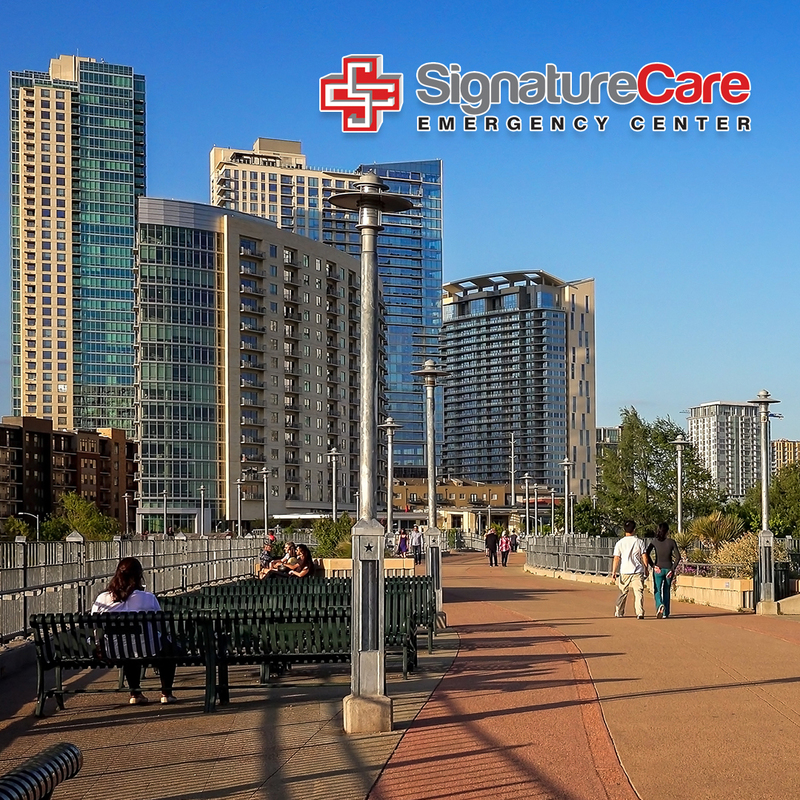 At SignatureCare Emergency Center – South Austin Emergency Room, you will never wait more than 10 minutes before you see a board-certified ER physician and licensed nurse. We offer a fully-equipped, freestanding emergency room providing hospital-level care in a neighborhood setting to residents. We offer personalized medical care and our physicians are always available and on-site. You never have to wait for a doctor to arrive. Our South Austin emergency room accepts most major insurance plans and Workers’ Compensation. Each member of our staff is a certified health care professional and the treatment of our patients is our highest priority. Dr. Craig de Waal attended The University of Texas at Austin before graduating from The University of Texas Southwestern Medical Center in 2002. He completed his residency training in Emergency Medicine in 2006 at Parkland Hospital in Dallas before relocating to Austin. Dr. de Waal is board certified in Emergency Medicine. He was a partner with ESP for 8 years and a faculty member with the UT Southwestern Emergency Medicine Residency program in Austin prior to joining SignatureCare in 2017. 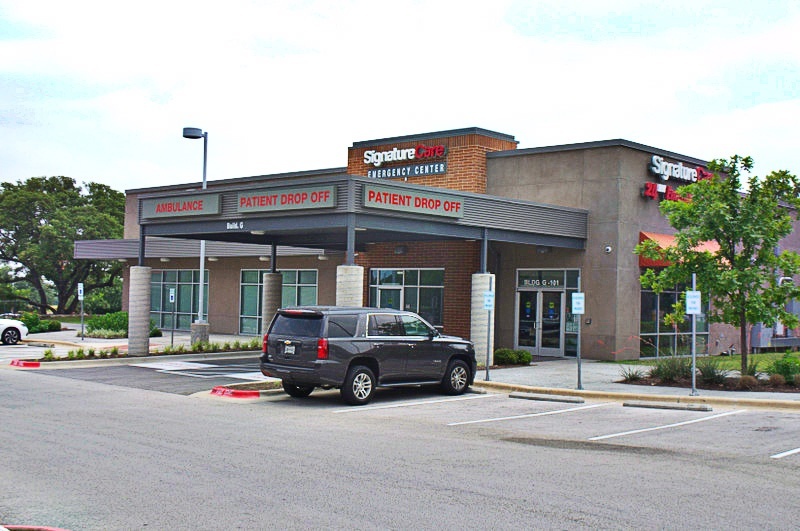 Dr. de Waal currently serves as the Medical Director for SignatureCare in South Austin. Craig has a wife and two boys and can usually be found playing disc golf or watching movies when he’s not attending kids sporting events.